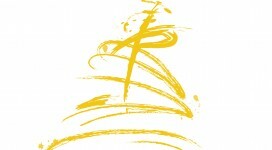 Home > Archive by category "Anti-Bullying Blog"
03.29.19 | Anti-Bullying Blog | Comment? 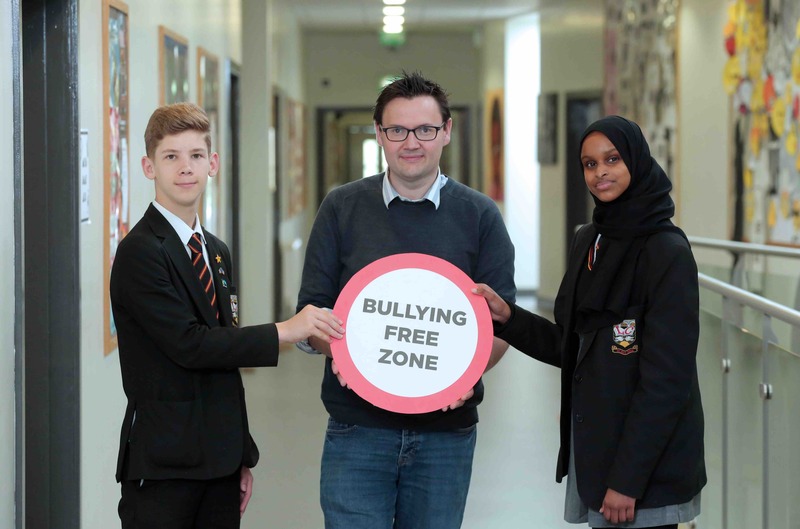 Winners in the Northern Ireland Anti-Bullying Forum’s (NIABF) recent report writing competition, following its activities marking Anti-Bullying Week 2018 (11 November), were presented with their prizes at a special ceremony held in The MAC, Belfast. 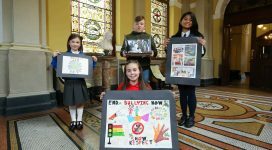 Drawing on the key theme of RESPECT, which was at the heart of NIABF’s Anti-Bullying Week, this competition invited young people from across Northern Ireland to reflect on learning and write a short report on the theme “RESPECT in the Cyber World”. 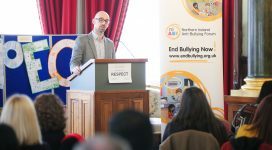 “Once again we are delighted to see the level of thought that children and young people in our schools and communities have put in to this competition. 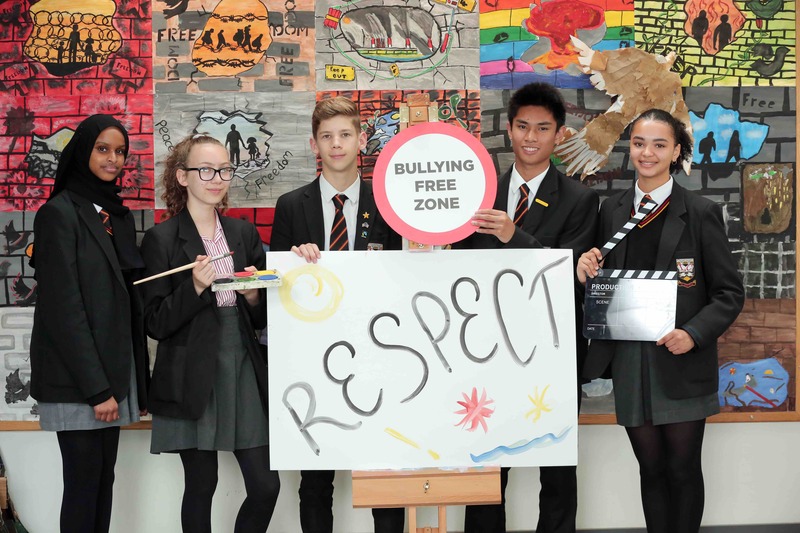 The judges read every entry received and were amazed at the wonderful and creative ways the young people had approached this important topic. 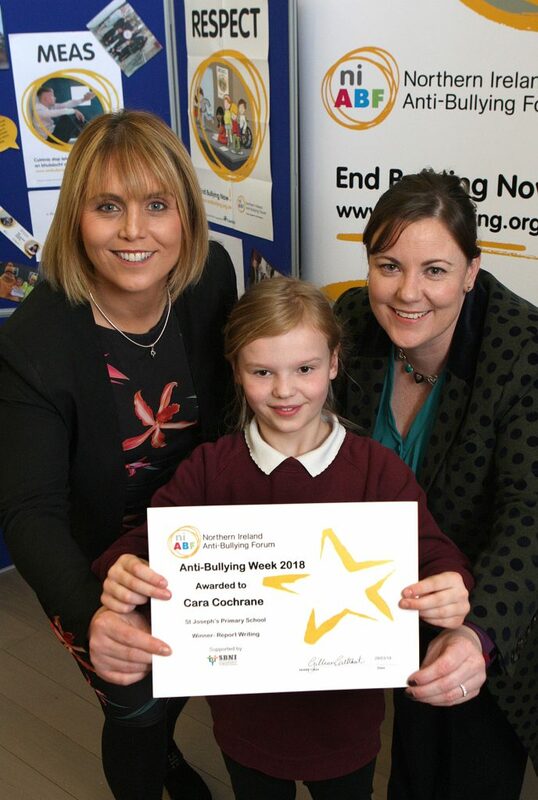 Cara Cochrane, from St Joseph’s Primary School, Ballycruttle, receiving her prize from Gillian Cuthbert, Chair of the NI Anti-Bullying Forum, and Zoe McKee, Chair of the SBNI eSafety Forum. 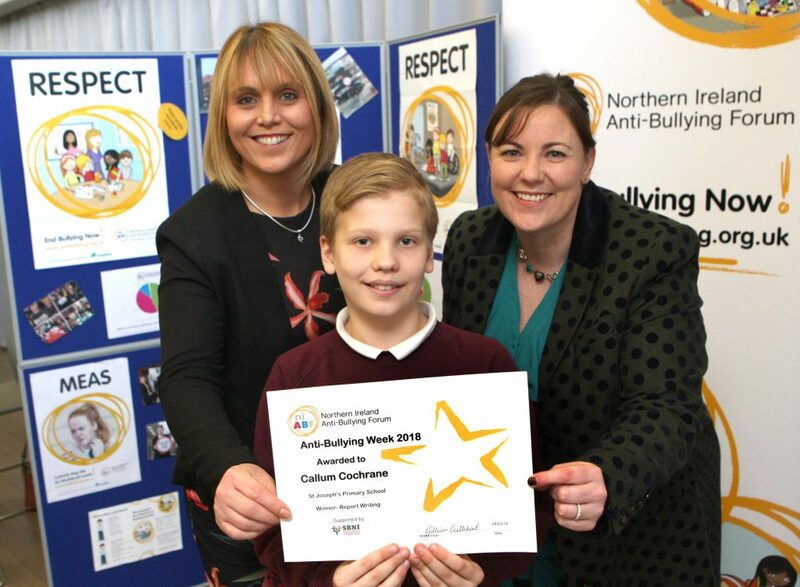 Callum Cochrane, from St Joseph’s Primary School, Ballycruttle, receiving his prize from Gillian Cuthbert, Chair of the NI Anti-Bullying Forum, and Zoe McKee, Chair of the SBNI eSafety Forum. 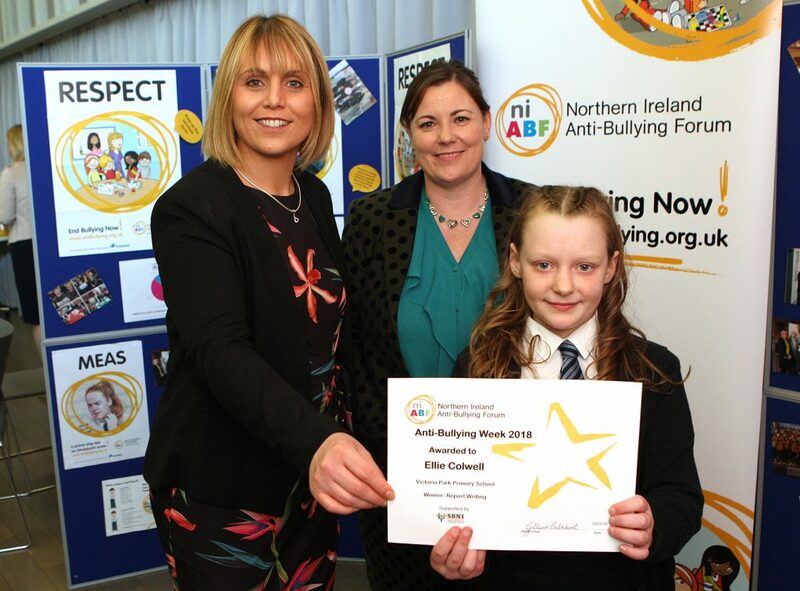 Ellie Colwell, from Victoria Park Primary School, Belfast, receiving her prize from Gillian Cuthbert, Chair of the NI Anti-Bullying Forum, and Zoe McKee, Chair of the SBNI eSafety Forum. 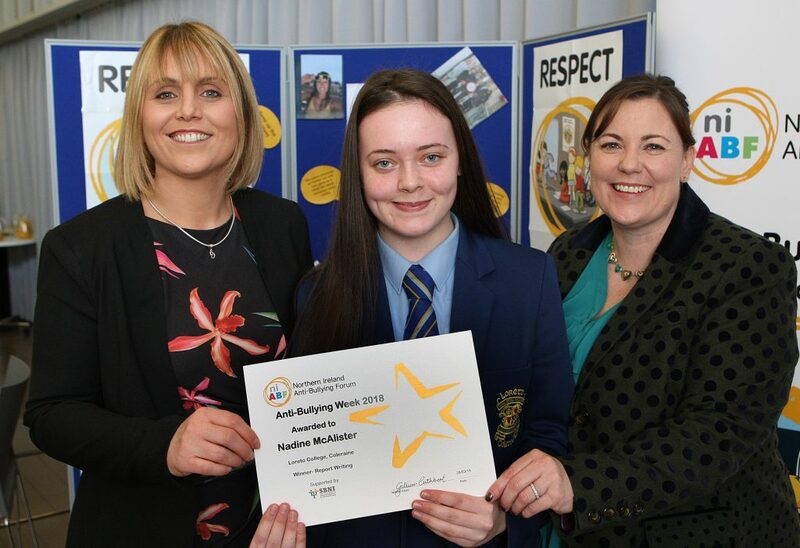 Nadine McAlister, from Loreto College, Coleraine, receiving her prize from Gillian Cuthbert, Chair of the NI Anti-Bullying Forum, and Zoe McKee, Chair of the SBNI eSafety Forum. 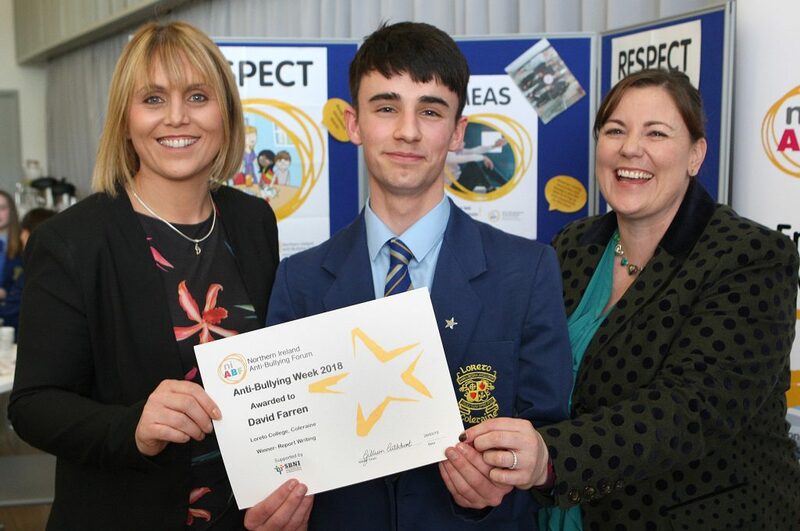 David Farren, from Loreto College, Coleraine, receiving his prize from Gillian Cuthbert, Chair of the NI Anti-Bullying Forum, and Zoe McKee, Chair of the SBNI eSafety Forum. 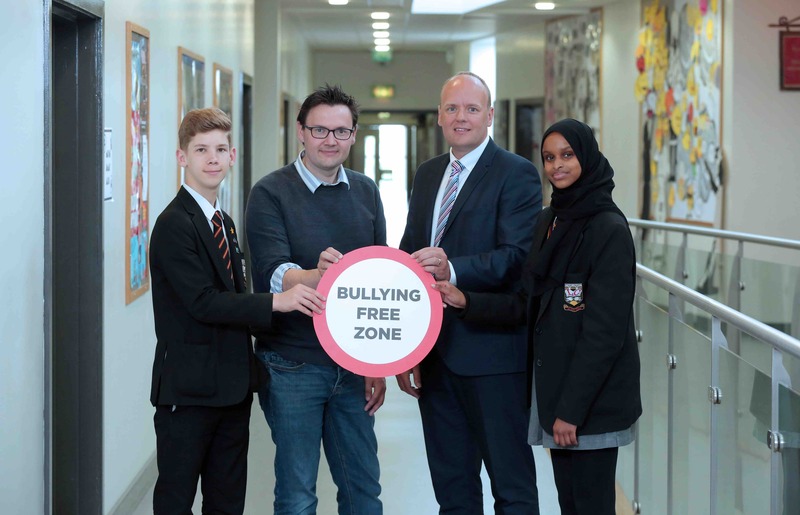 The Northern Ireland Anti-Bullying Forum (NIABF) is a network of statutory and non-statutory organisations working together to deliver consistent anti-bullying messages for our children and young people. 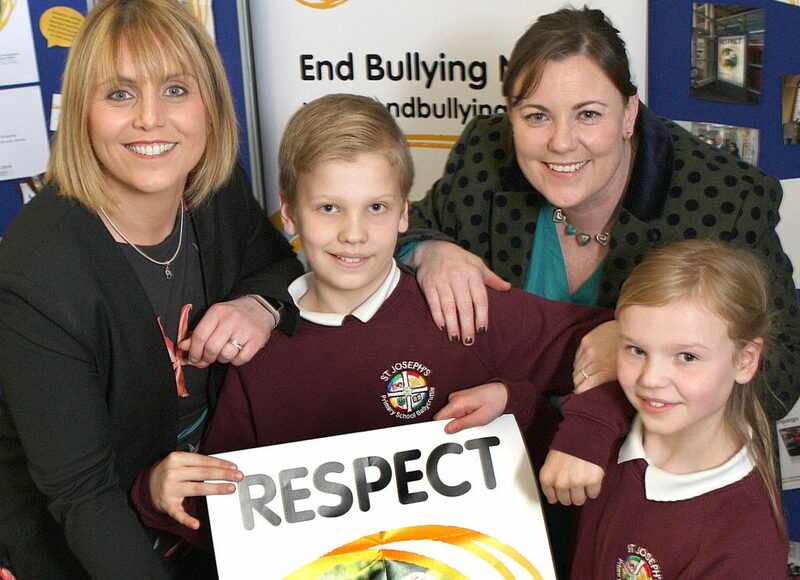 NIABF is convened by the National Children’s Bureau (NCB) NI and funded by the Department of Education. 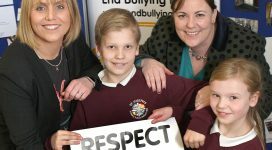 The Members and Staff of the Northern Ireland Anti-Bullying Forum wish you a happy festive period and every success in 2019. Please note that the NIABF Office is now closed, and will re-open on Monday 7 January 2019.